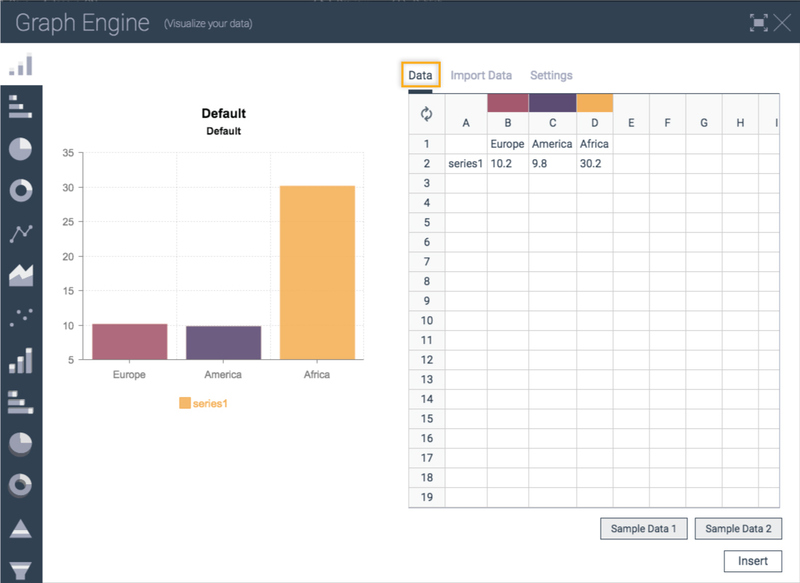 Visme allows you to create custom charts and graphs to visualize your data. 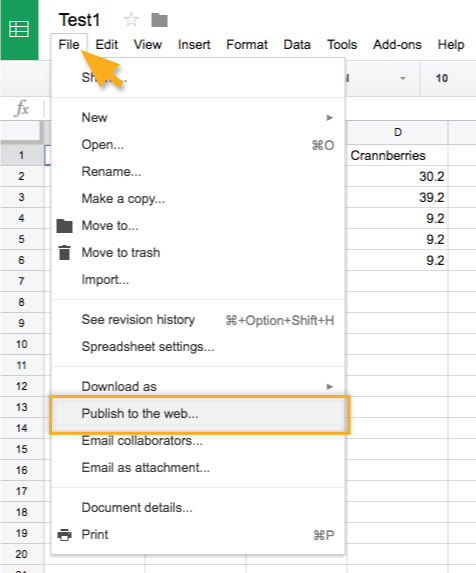 You can type the data manually, import data from Google Spreadsheet or upload from Excel. Below are the step by step guide on how to connect and import data to customize your charts in Visme. 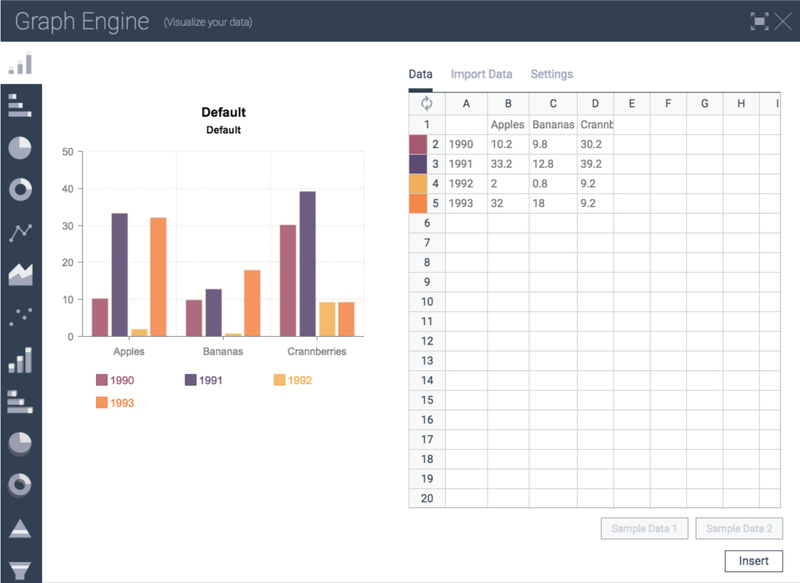 From the left panel select Charts and Data Widgets icon from the Tool Bar. Select Charts from the upper left of the page. A sample chart will appear as a template. The Data is your default tab on the right where you can input your values. You can also change chart template by selecting your preferred graph type from the left side of the Charts Templates Bar. Click on Import Data, it gives you options to Import from Google Spreadsheet or Upload from Excel. Create an Google Spreadsheet and input the data you would like to use. 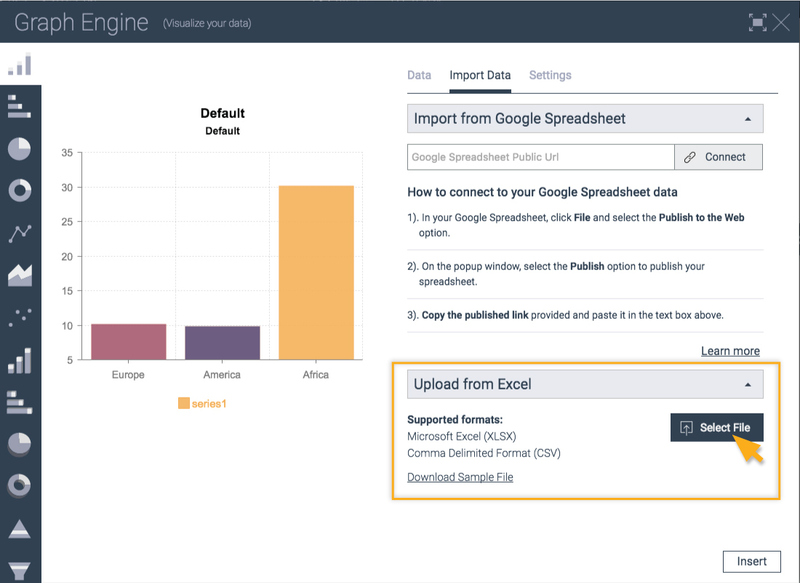 Copy the Link and paste to Import data section in Visme. 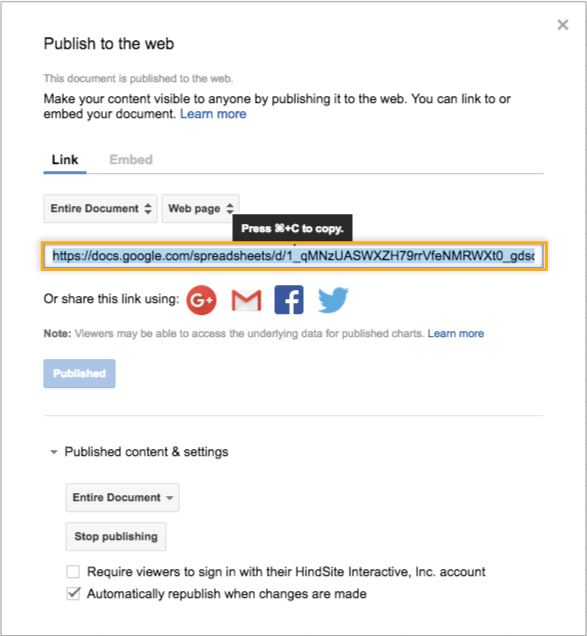 Tip: check the box Automatically republish when changes are made. 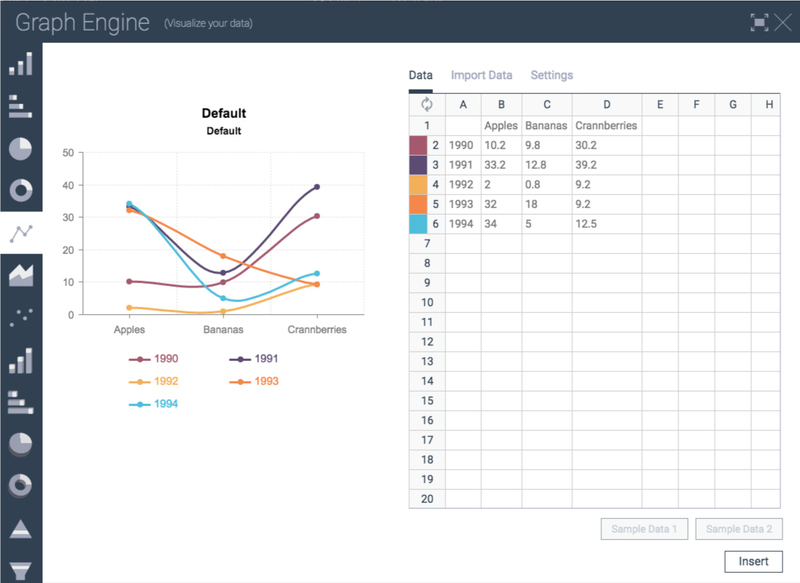 This allows you to make changes in the spreadsheet and the chart will get updated in Visme too. 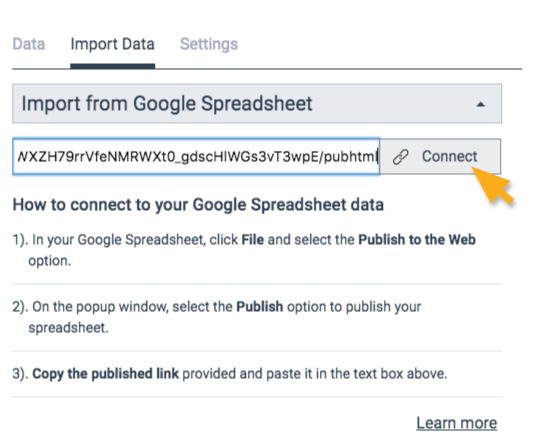 Go back to Visme Graph Engine and insert the Link under Import Data, then click Connect. After connected with the Google Spreadsheet, the graph below will pop up. It automatically input all the data information for you. 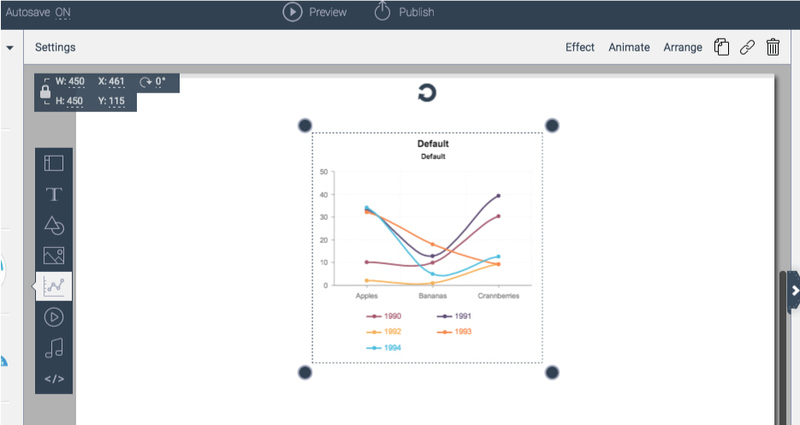 You can also use the Chart Templates Bar from the left side to select preferred chart type. If you want to Upload an Excel spreadsheet, simply click on Select File to choose the file you would like to upload. After finish, click Insert to view the custom graph you just created.